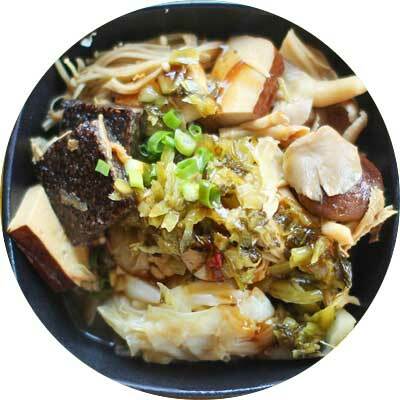 Taiwan is one of the great Asian destinations that is well known for being a foodie’s haven. After I had the chance to visit this small yet vibrant country this year, I’ve come to see that such a claim is true! 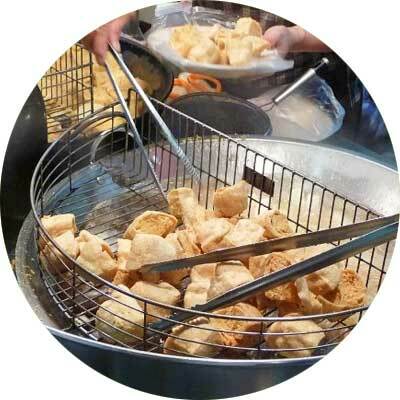 After all, Taiwan has several bustling night markets that are absolutely packed with an array of delicious food to eat. In the capital of Taipei itself, you’ll find a handful of interesting spots — for this post, I will rather be focusing on the oldest one in Songshan District: Raohe Night Market! Spanning at about 600 meters long, this single pedestrian lane that stretches along Raohe street may not be as big as the Shilin Night Market in the city, but with its size, it’s more compact and less touristy; so, it’s perfect especially if you want a place that’s easier to navigate and easier to browse through. Now of course, there is a wide range of local and international food selections to find here and if I were to list them all, it would probably take me a while! That being said, what I will be featuring below would be the top dishes and drinks that caught my eye and which you should definitely NOT miss. This type of baked bun actually originated from the Fuzhou region of China but it is commonly referred to as the “Taiwanese Pepper Bun” due to its high popularity in the country. It has several variations; but typically, they are made of chewy dough filled with a mixture of minced pork (sometimes beef), scallions, sugar, soy sauce, and black pepper. Best shop stall to eat it from? Fu Zhou Shi Zu which is at Raohe Night Market’s ornate entrance. It’s hard to miss because you will see a long line of customers! But I’m telling you, it’s worth the wait (which isn’t too long, I only had to wait for 10 minutes). While waiting, I even had the chance to watch their overall cooking process up until it was baked in a cylinder-like heat oven — so yes, they serve it fresh! Plus, it’s cheap too at just NT$50 each (or $1.6~ or Php 80~). Squid is a famed snack in the country and the larger ones are usually marinated and then grilled. I saw two ways of serving the squid: either spread out flat or sliced into rings. At this point, you probably think that the squid is chewy; but in fact, it’s not! It has a nice texture in which the ‘meat’ is tender. The spice that they put on the squid also helps give a nice kick to it all. Price starts at NT$100; rest assured the serving is big so you can share it with your companion. 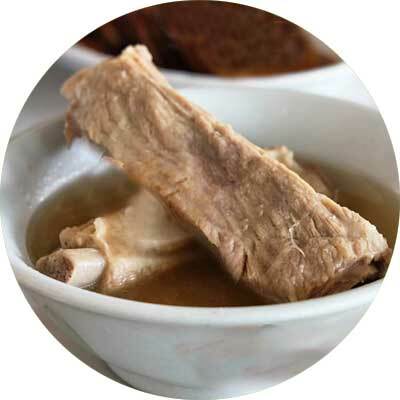 It’s commonly believed that cooking meat on the bone helps improve its flavor and texture, and Taiwan’s pork rib bone soup is a prime example that you can enjoy! In Raohe, you will find a lot of stalls (typically the one with seats) who serve this kind of fare. I was told that this kind of dish is similar to Singapore’s bak ku teh, but Taiwan’s version has a more herb-y flavor and spice. One thing’s for sure though: this is easily the kind of comfort food that I can consume and it tasted even better when paired with rice! As the name implies, stinky (fermented) tofu is distinct for its strong odor which is quite unique. Truth be told, it’s said that the smellier it is, the better it tastes; but personally, I think it’s an acquired taste. Still, that doesn’t stop travelers from trying it out to see why the locals love this fare. So if you’re up for the challenge, why not give it a try? Stinky tofu in Raohe is often sold cold, steamed, stewed or deep fried. I suggest going for the deep fried sort which is often served together with a special sauce and some minced garlic. TIP: As it is stinky, be prepared that your breath might equally end up the same way *wink* Don’t forget to pack some mints! 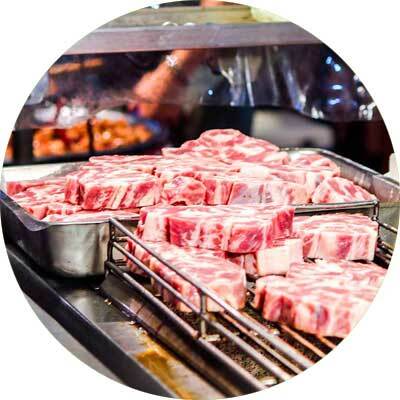 There are several stalls that sell this kind of food in Raohe Night Market, and as the name implies, they are bite-sized chunks of beef that are flame-grilled or torched on the spot as customers place an order. It’s a simple fare but it makes for a very juicy savory food to munch on as you walk along the street. When you buy one, you are also given the choice to choose the kind of toppings or seasonings that you like such as salt, cumin, pepper, or teriyaki. TIP: Try the rose pink salt toppings which is loved by many! (Price starts at around NT$200). 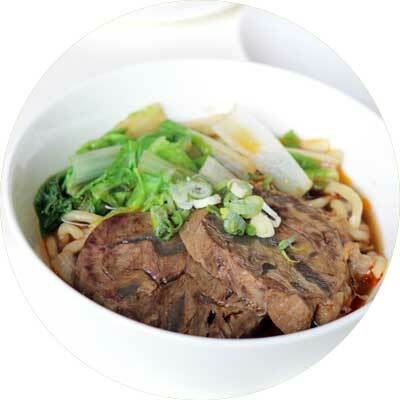 You must NEVER leave Taiwan without trying a bowl of beef noodle! It’s well loved by the Taiwanese that Taipei even holds an annual festival for it in which people would compete to make the best bowl. So basically, this noodle soup is made up of tender stewed or red braised beef mixed in beef broth together with vegetables and Chinese noodles. I’ve tried this myself and it’s a delicious and aromatic bowl of goodness! There are various Chinese sausages and the one that was adapted by Taiwan is called as ‘xiangchang'(香腸) which literally means fragrant sausage. These chunky, fresh and plump sausages consist of coarsely chopped pieces of pork and un-rendered pork fat — and often more sugar than typical Chinese sausages so you will detect a sweet aftertaste when you take a bite. 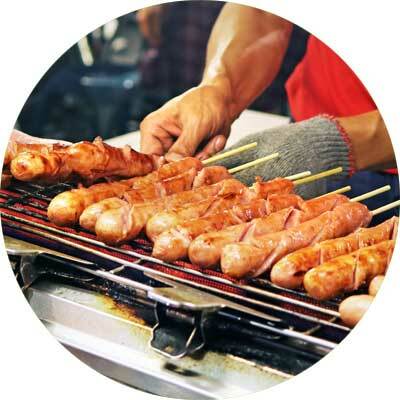 When in Raohe Night Market, you’ll find several shops selling these sausages in skewers with several options for sauces to dip it in. If you ask me, they’re worth trying! (Price starts at NT$30). 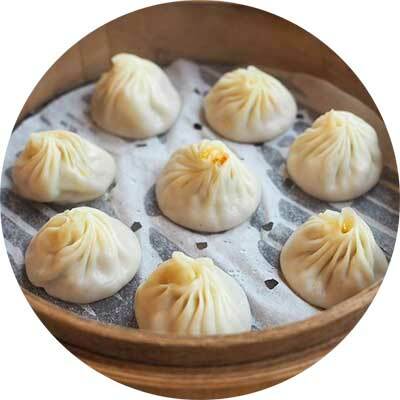 Xiaolongbao is a type of steamed bun or soup dumpling that originated from China, but if I may so myself, it’s Taiwan’s famous restaurant of Din Tai Fung that ushered it to popularity! Naturally, almost every night market in Taiwan sells these dumplings in case you can’t be bothered to wait in line for long hours at any of the restaurant’s chain stores. In Raohe Night Market, there’s a small shop on the side near the ornate gates who sells it freshly-cooked and you will have clear view of the men who are making it. NOTE: If it’s your first time to eat this, take note it has hot soup ‘inside’ so don’t stuff it all in your mouth. It’s best to take a small bite on the side to slowly drain the soup out before swallowing it all whole. Feel free to dip it in vinegar and fresh ginger that they usually provide. This is yet another well-known savoury snack in the country, so naturally, it has become a favorite in night markets found at Taipei. Much like the title says, it’s an omelette that’s primarily filled with small oysters — but unlike typical omelletes, the egg is thicker due to starch that’s added into the egg batter. This chewy snack is often served in big portions with sauce toppings, so it’s great for sharing! (Price starting at only NT$30). Locals love the street food concept of ‘lu wei’ in which you can pick from a huge and varied selection of ingredients (meat, vegetables, tofu, noodles, etc.) from the stall using a bowl, and then afterwards, the shop will chop it all up and cook it in a delicious brine or broth. It’s a filling dish that offers a complex mix of flavors that will make you want for more! If in case you want the ingredients fried or grilled, the stall will be more than happy to do it for you. NOTE: Spotting these stalls in Raohe is easy since they are usually the only ones that have tables in the middle of the night market (or you will see customers with bowls in their hands picking at the ingredients). 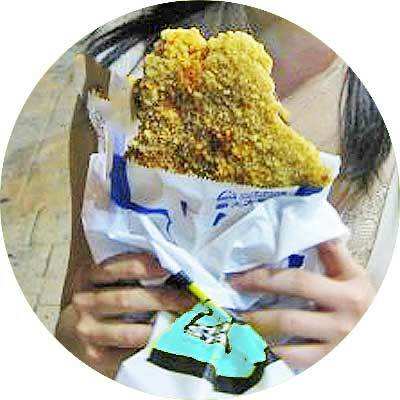 You’ve probably heard of the famous ‘Hot-Star‘ shop in Shilin Night Market that sells large flat fried chicken steaks. These are called as ji pai and are considered to be a distinguished snack in Taiwan wherein chicken breasts are pounded flat until they are at the size of a steak (about 12 inches wide). After that process is done, they are marinated in a sweet sauce, coated in batter and deep-fried until crisp. In Raohe however, you will only find one stall selling ji pai so watch out for it! Otherwise, you can always go to Shilin Night Market later on or go to any Hot-Star shop. 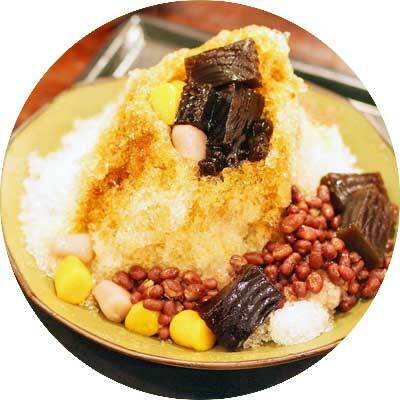 Shaved ice might seem like a common thing to you (especially if you’re from Asia or from the Philippines [think, halo-halo]) but Taiwan has some interesting toppings that they use for this kind of cool snack! Other than the usual fresh fruit toppings, I’ve found out that they also have stuff like chewy balls made of rootcrops like taro, yam, and sweet potato, as well as some other types like grass jelly and egg pudding. If you look well enough, you can even find shops that sell a dairy variant of the ice wherein once it’s shaved, it looks like fluffy snow. TIP: It’s best to pair shaved ice with some ice cream on the side! (Price starts at around NT$80). 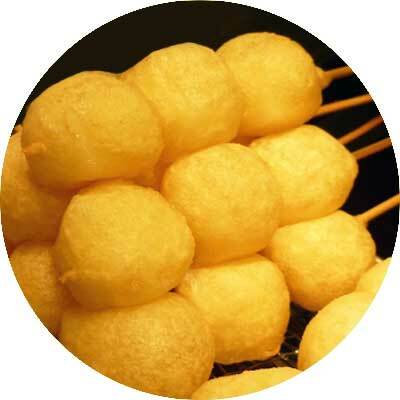 If you’ve previously tried Japanese mochi (chewy glutinous rice balls), Taiwan’s muah chee are almost similar to it— except that the latter is typically grilled and coated with sugar or crushed peanuts. 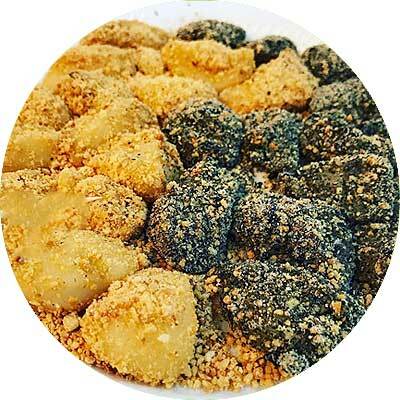 Much like mochi too, muah chee also comes in different flavors like black sesame, cheese, strawberry, etc. 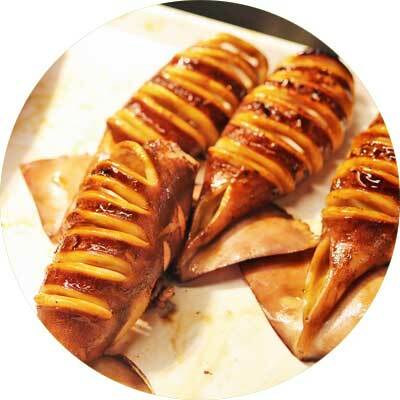 These will definitely make for a great dessert treat after the savoury dishes that you’re going to be trying around Raohe’s night market. (Priced at around NT$40, served usually in 6 pieces). 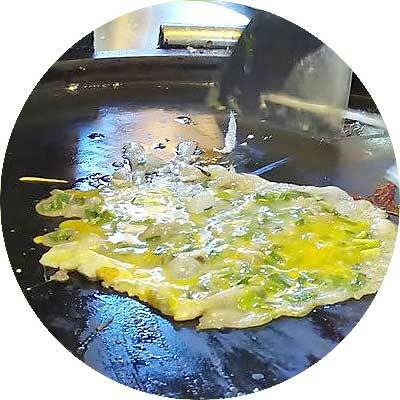 I would have never thought of frying milk, but Taiwan’s night market scene did! This fluffy sweetness is a must-try when you set foot in Raohe. If you’re wondering how the overall process goes, well first, cubes of milk are dipped in a batter and then subsequently fried in scalding oil. (I’m not sure if the cubes are frozen or made into jelly; most likely the latter). Anyhow, it may be simple but it’s very satisfying to eat! (Priced at around NT$20 per stick). This sweet snack reminds me a lot of Japan’s taiyaki. 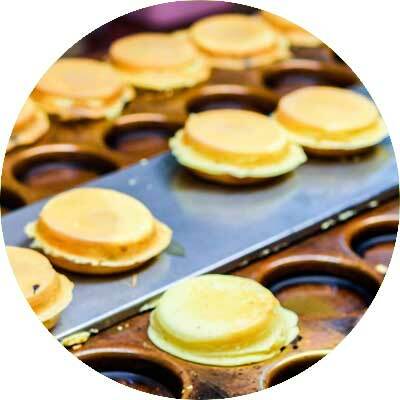 Taiwan’s version in Raohe Night Market are round pancake shells with fillings that can be of any kind. Apart from the simple custard filling, I’ve seen other flavors such as red bean (like Japan’s), taro, chocolate, peanut, cheese, and black sesame among many others. Much like I expected, these custard wheel cake’s were soft to bite on and the aptly sweet filling was the ‘icing to the cake’. The best part? They’re very cheap at just NT$20 a piece! The world-famous sweet pearl milk teas or also known as ‘bubble tea’ originated from Taiwan; that’s why when you’re in the country, sipping a cup or two is the least that you must do. And since you’re in the country that made it, they offer an extensive range of flavors and even varying degrees of sweetness and temperature ‘settings’ that you can ask the shop to make it in. 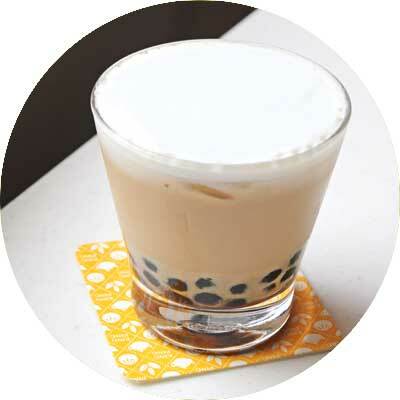 TRIVIA: The ‘bubble’ phrase in this drink’s name did not come from the tapioca balls mixed win it but rather from the way that the tea is shaken before serving, thereby producing a lighter, foamy texture. This isn’t a ground-breaking choice in the night market but it’s still something that I’d like you to try. After all, Taiwan isn’t called as the “Fruit Kingdom” for nothing! 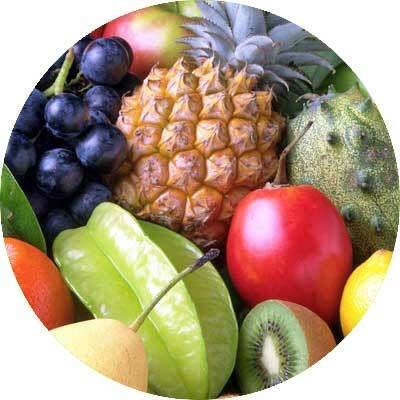 Therefore, go and take advantage of the country’s fresh and sweet fruit offerings. As you stroll through Raohe Street Night Market, you will surely find a lot of vendors that are selling freshly-squeezed juices — mangoes, watermelons, pink guavas, papaya… aaah, the list goes on! Previous THE TOP 10 CHIANG MAI STREET FOOD DISHES!